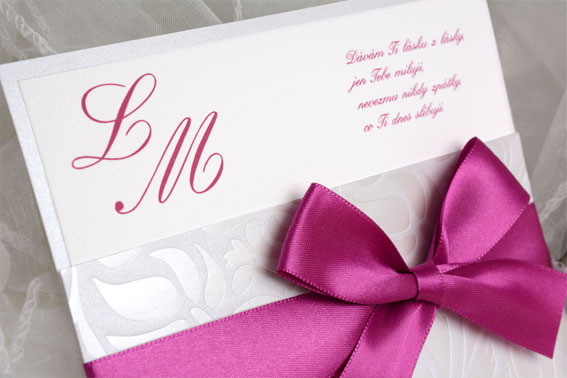 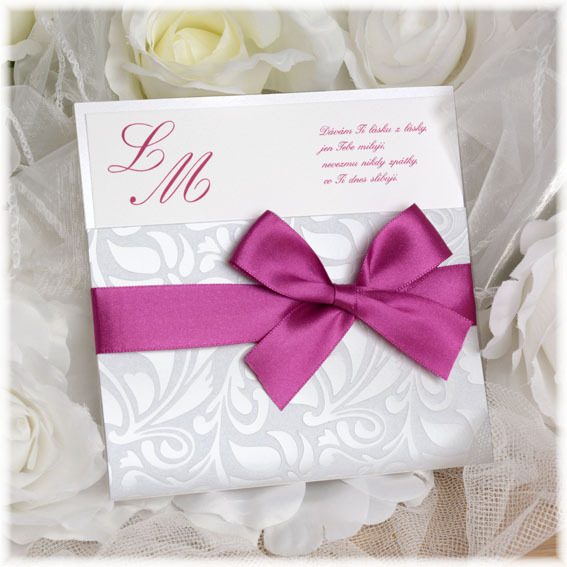 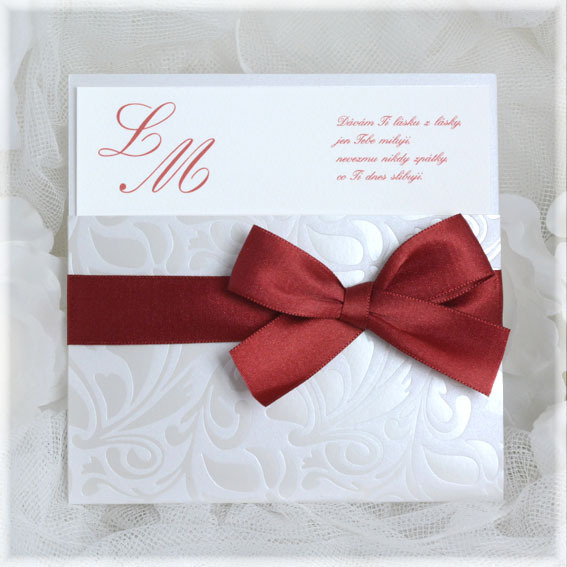 Luxury and cheap wedding invitation. 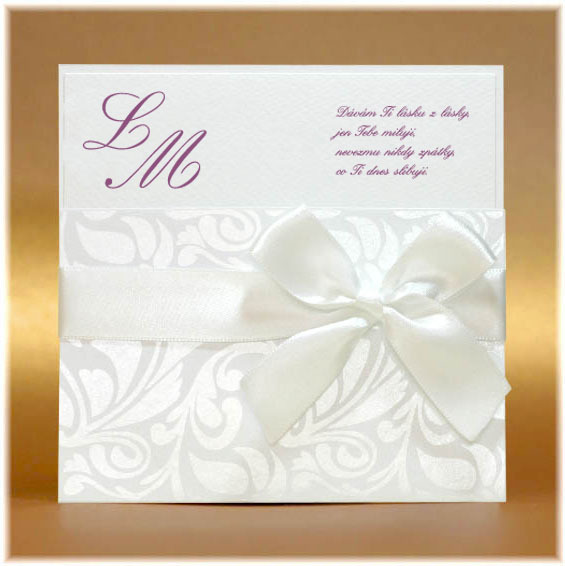 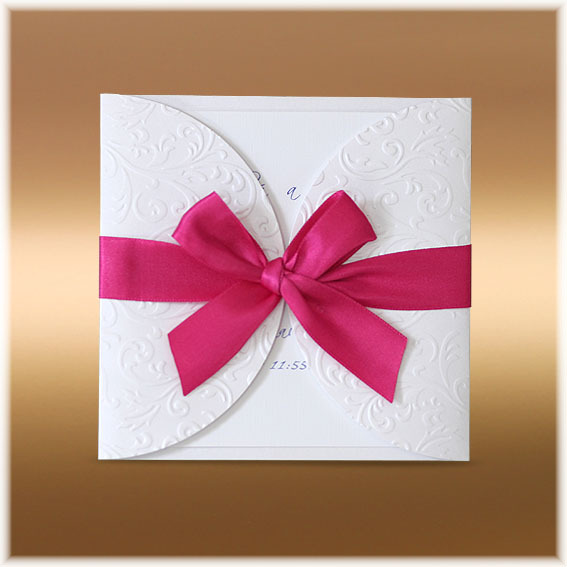 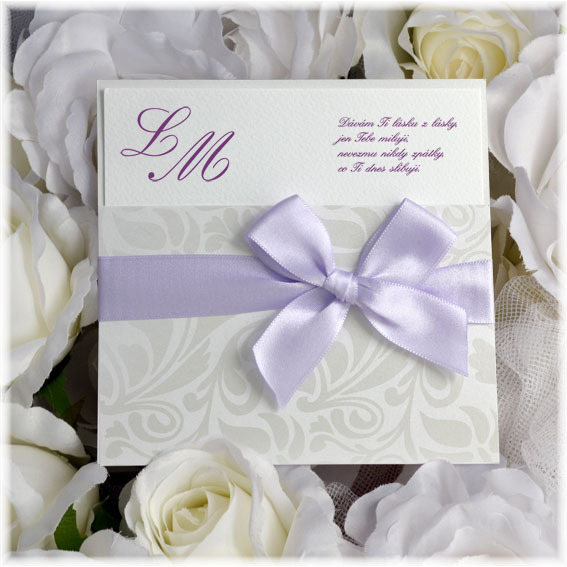 Invitation design is made of pocket from pearl white paper with embossed pearl white ornament. 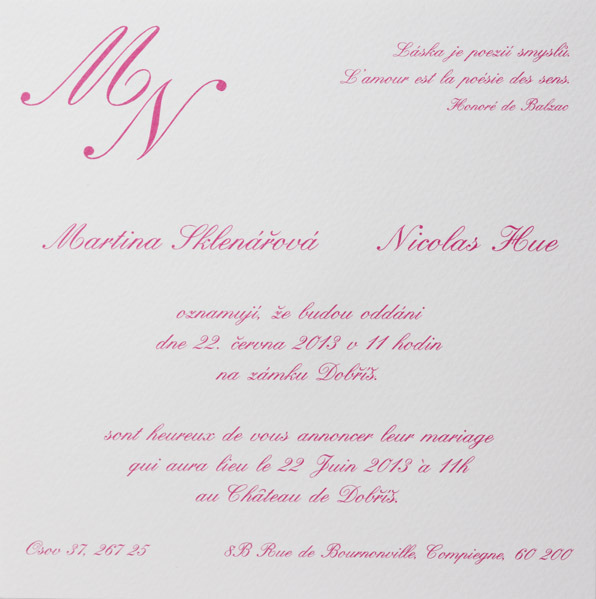 The pocket is tied by fuchsia pink ribbon. 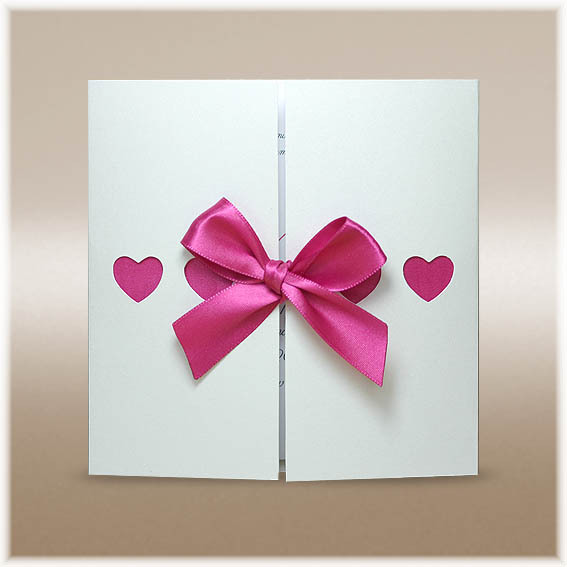 The colour of the ribbon can be changed according to the warehouse supply.